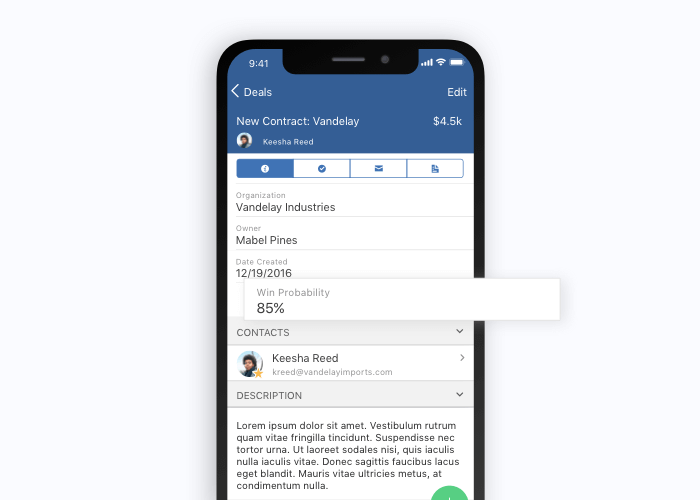 When we launched our Deals CRM App earlier this year, it was the first step in helping you manage your deals and contacts from anywhere. Being able to stay on top of tasks and deals while on the go makes it easier to keep your business moving forward. Now, we’re continuing to add more features and functionality to our iOS app. 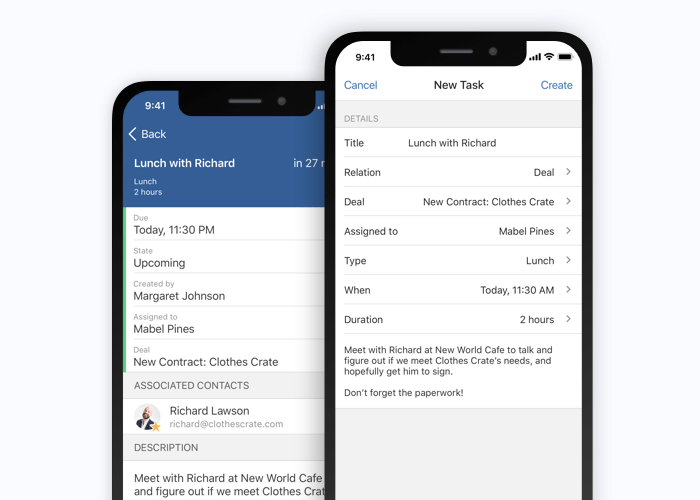 In the latest release, we’ve added task features, deals information, and filtering options that help you keep things running on the go. This update adds a new view to the CRM App: the Tasks View. The ability to manage all of your tasks in a single view makes it easier to stay on top of your work. In the Tasks View, you can see all of your tasks in one list. 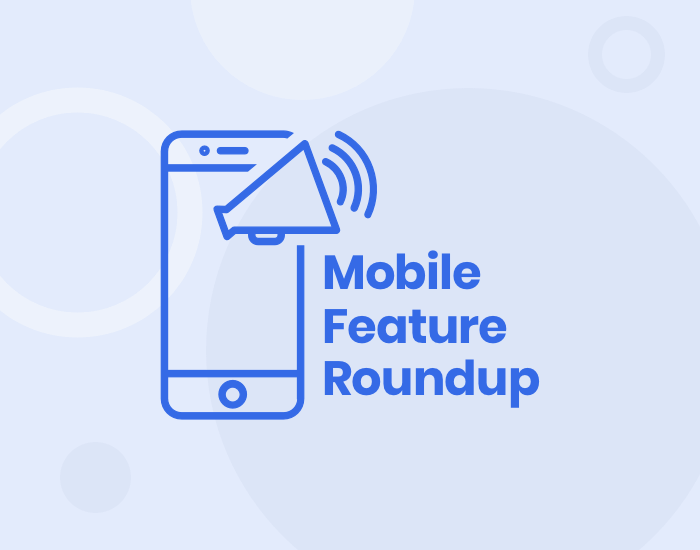 You also have the ability to call or email contacts associated with each task—from directly within the app. The Tasks View combines well with the new Task Assignment feature. With Task Assignment, you can see each task’s owner and re-assign tasks to other users—which will make it easier to work collaboratively with your team. The new update lets you see more information in the contact view. When you’re out in the field, you might not be able to pull out your laptop to look up a contact’s information—and you may not have time to scroll through a long list of contacts. Now, you can filter contacts by list, subscription status, tag, or organization, to make it faster and easier to find the information you need. If you’re on our Professional plan or higher, the deal record on the CRM app will also show its Win Probability. Each of these updates makes it easier to get the information you need at the moment you need it. This update also includes deal descriptions and other deals information recently made available in the CRM. 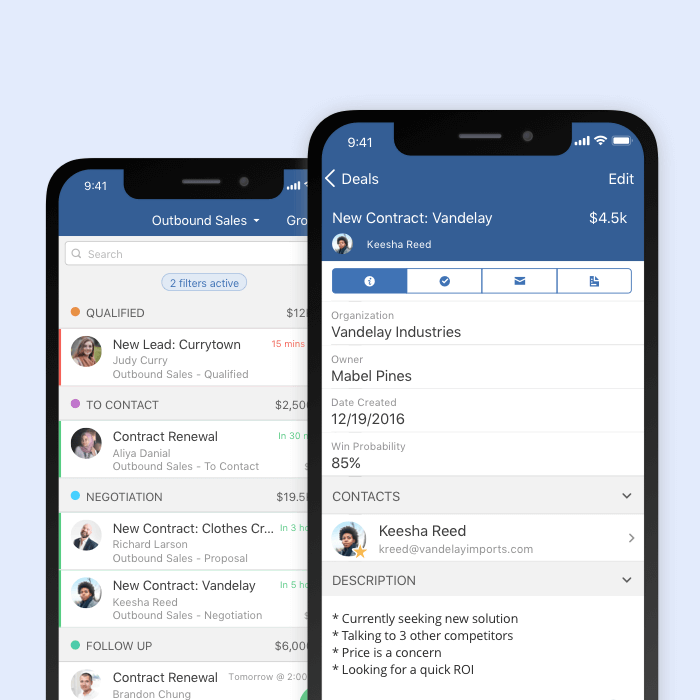 In sum, the updates to the Deals CRM App make it easier for you to view and manage your sales pipeline on the go.